The Larne Cairnryan ferry route connects Northern Ireland with Scotland. 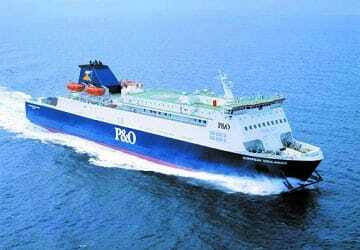 Currently there is just the 1 ferry company operating this ferry service, P&O Irish Sea. The crossing operates up to 49 times each week with sailing durations from around 2 hours. 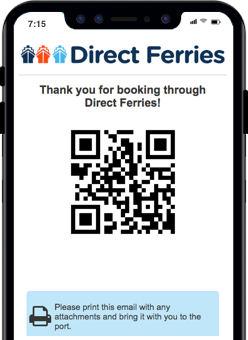 Larne Cairnryan sailing durations and frequency may vary from season to season so we’d advise doing a live check to get the most up to date information. Prices shown represent the average one way price paid by our customers. The most common booking on the Larne Cairnryan route is a car and 2 passengers. Larne is Northern Ireland's busiest passenger and car ferry port, handling around one million people and 200,000 vehicles every year. The town itself is located on the east coast of County Antrim, with its maritime history dating back over 1,000 years. 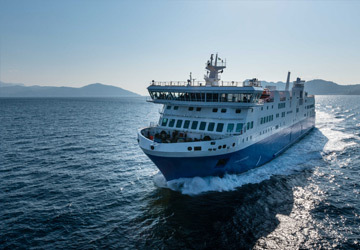 The port’s passenger facilities include excellent lounge areas, a restaurant, cash machines, shops, tourist information and a rail and bus station. 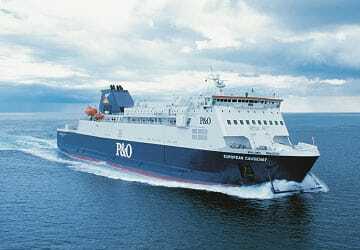 The main ferry boat service operating out of the port to mainland Britain is to Cairnryan, run by P&O Irish Sea, with a crossing time of around two hours, while there is also ferry operating between Larne and Fleetwood, in the north west of England. The town is only around 25 miles from the Scottish mainland, lying on the western side of a narrow inlet linked to the sea. The eastern side is the Magee Peninsular, and to the west is the ancient volcanic formation of Antrim Plateau. Due to Larne’s proximity to Scotland, there are magnificent views to be had towards the Mull of Kintyre, Rhins of Galloway, Islay and Paps of Jura.